My stock portfolio for the last several years…No, make that for my entire working career…is mighty poor. I am the proverbial person who has enough money to live on for the rest of my life, if I die this afternoon. I am the person who could go broke selling water in a desert. I have fulfilled the maxim that a fool and his money are soon parted without figuring out how to make enough money to be parted from. I am aware of the saying that money cannot buy happiness with the realization that neither can poverty. I am rather wealthy, however. My investments are my family, church, and career. And I have enough books to run a book business for a decade or two if I were ever to switch from consumer to distributor. All of this is to bring attention to some of my recent stock acquisitions. You won’t find these on the Dow-Jones market report, but they are good investments. I am speaking of a few books I have picked up in recent months from Wipf and Stock Publishers. I first became aware of Wipf and Stock a few years back when they reprinted Roy Clouser’s book Knowing from the Heart. Clouser is a mentor to me and an e-friend and brother in Christ. He is also a profound philosophy teacher and scholar. His book The Myth of Neutrality is one of the most important books I have ever read. The reprinting of Knowing from the Heart, along with several other books I came across, made me think that W & S was just devoted to reprinting out-of-print editions of much needed books. They do quite a bit of that. But they are also publishing a wide range of new works as well. As they say on the web-site, they are “committed to writing that honors the imagination, intellect, and heart,” and that includes books that range from “biblical studies to classic theology, poetry to history” by authors who are “experts, scholars, and artists.” I must admit to getting a sick feeling when I browse through the incredible number of books they publish. First, Heaven and Hell: Visions of the Afterlife in the Western Poetic Tradition by Louis Markos. There are quite a few things that drew me to this book. First, it is written by Dr. Markos, literature professor at Houston Baptist College. I first became acquainted with Markos from his book From Achilles to Christ. Then I listened to some of his lectures on C. S. Lewis and began following his work more closely. The high point was the meeting of the Association of Classical Christian Schools conference in Dallas, Texas in 2015 (which I covered here). Dr. Markos is high energy in his lecture style. I don’t know how he settles down enough to write, but he does. The main focus of his writings seem to be on C. S. Lewis and J. R. R. Tolkien, but he has ventured way beyond those two greats. A second attraction of this book is in the subtitle–Visions of the Afterlife in the Western Poetic Tradition. Based on the past 20 years of grappling with the classics, the greatest epics, and the poetic traditions of the West has all created an insatiable appetite for knowing more. So much of Western literature is dominated by or interpreted by the Christian view of the Afterlife. “You die and that’s it” might be the bitter beliefs of some, but not the view that has under-girded our literature. Third, this book devotes chapters to some of my favorite and often taught books. These include Homer’s Odyssey, Virgil’s Aeneid, Dante’s Divine Comedy (8 chapters! ), Milton’s Paradise Lost, and Lewis’ The Great Divorce (of which I wrote the chapter in the Veritas Press publication Omnibus V The Medieval World). Markos is a scholar devoted to cultivating romance between the student and the text. He is also a dedicated Christian. This book is a fine resource to pull out when teaching particular books or a useful book to read from cover to cover. I previously reviewed this book in 2014 here. This past summer I read and commented on The Crisis of Evangelical Christianity: Roots, Consequences, and Resolutions by Keith C. Sewell. Dr. Sewell and I have corresponded on a few occasions over the years, but we have never actually met. He taught history at Dordt College for a time, as well as in England, and now he is living in Australia. Some years back, I acquired his weighty study (based on his dissertation) on the Christian historian Herbert Butterfield. That book is titled Herbert Butterfield and the Interpretation of History and is published by Palgrave MacMillan. I found The Crisis of Evangelical Christianity to be one of the most enjoyable and informative books I read in 2016. Most of the book is a history of Christianity with a special emphasis on the English and American Evangelical experiences. When I say the book was enjoyable, I do not mean to imply that I found pleasure in all the content. Christianity–or Evangelicalism in this case–has failed, fallen short, and made a hash of many of its situations and opportunities. This book burns a bit going down. Although Dr. Sewell is Reformed in his theology, just as I am, he is not beating the drum for Reformed theology or Evangelicalism. The book diagnoses some of the bad tendencies and failure. This is not a depressing analysis of “where we failed.” He offers suggestions for remedying the situation. Whether read as a prescription of what should be done or as a history of what has been done, this is a first rate study. I look forward to a second reading, hopefully soon. My previous comments on this book can be found here and here. I have commented on The Conversion and Therapy of Desire: Augustine’s Theology of Desire in the Cassiciacum Dialogues so often that I feel like I should be carrying pom poms as I cheer. The initial draw of this book was the name of Augustine in the subtitle. 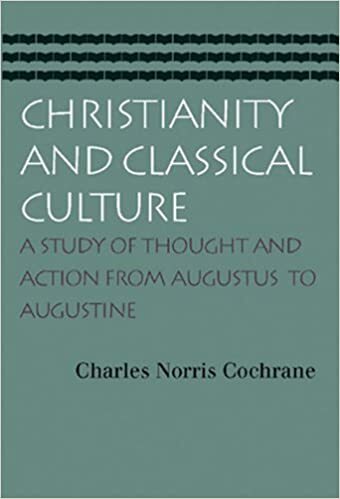 This was in the summer and with the Medieval Humanities coming up, I was interested in doing collateral reading on Augustine prior to teaching City of God. My recent post explores some of what I have experienced and run into in this quest to scale Mount Augustine. It can be found here and my post from the summer can be found here. By the way, Mark Boone, another e-friend, is forever in my debt for me having paired him and his work with that of Albert Camus. Albert Camus, were he still living, would have been honored as well. Because of having gotten to know Mark Boone, I learned from him early on that he had a new work from Wipf and Stock. It is titled Science Fiction and the Abolition of Man: Finding C. S. Lewis in Sci-Fi Film and Television. Boone and Kevin C. Neece edited this collection of essays. Let me admit this up front: If I did not know Mark Boone and I just stumbled across this book, I would have glanced at it for a while and walked on. The gaze of C. S. Lewis in the cover picture and the mention of his name would have interested me, but my interest would have ceased with reading the words “Sci-Fi Film and Television.” Truth be known: I liked The Waltons, not Star Trek. If William Faulkner had tried his hand at Science Fiction, I might have been willing to give it a try, but he didn’t. But the serious reader, teacher, student, learner, human must branch out. “You don’t like what you don’t know” a wise teacher told me back in 9th grade. Besides, Lewis is there in the picture, approving the book. And, his classic Abolition of Man is alluded to in the title. Furthermore, movie critic and yet another acquaintance of mine–Brian Godawa–wrote the foreword. Should I add that Louis Markos contributed one of the essays? Yes, I am afraid that this book is going to mess up my box and shake up my comfort zone. I doubt that Sci-Fi in print or film will ever become a favorite genre for me, but this study looks really good. I will let you know more as I progress into it. If Science Fiction is the broccoli that I have to learn to eat, the book The Presbyterian Philosopher: The Authorized Biography of Gordon H. Clark by Douglas J. Douma is my desert table–meaning, banana pudding, German chocolate cake, carrot cake, coconut cream pie, and loads of ice cream. Everything about this book appeals to me. One exception–its brevity–for it is only 318 pages. I never met Dr. Clark, but he has been an influence on me directly and indirectly for over 40 years. That influence includes how his books shaped the thought of the history professor who shook up and changed my whole worldview in 1974-1976. It also includes the books Clark wrote and the books he contributed to. These range from his terse little book called Predestination to his Christian Philosophy of Education. Two of the best of his works–in terms of their impact on me–are Historiography: Secular and Religious and A Christian View of Men and Things. Some years back, I did a lecture series called “Calvinistic Worldview Thinkers in the Wilderness Age.” I had the occasion to give some of the lectures “coast to coast,” meaning in Virginia and Alaska. Clark’s works and contributions were included in my lectures, readings, and bibliographies. But I never did him justice. Some of that neglect was due to Clark’s disputes with Cornelius Van Til (covered, of course, in this biography) and his subsequent distance from the Westminster Theological Seminary’s key players. Another problem was my focus on the Dutch theologians and philosophers, centering around Herman Dooyeweerd. Clark was never a Dooyeweerdian and most of his followers have distanced themselves as well. Then there was this problem: There was no biography of Gordon Clark. The book Gordon Clark: Personal Recollections, edited by John Robbins, contained lots of good anecdotal and biographical information, but was not a complete biography. I am currently reading this book during part of my morning reading ventures. This work was love at first sight. Side note: Gordon Clark’s grandson, Nathan Clark George, is a friend of mine and is one of the best Christian musicians around today. His website and his recent CD–An Ode to the Carter Family–can be found here. When Nathan casually refers to playing chess with “Granpa Clark,” I get cold chills. I find books about Adolph Hitler and Joseph Stalin depressing. I am sure that I would find books about Mao Zedong, Fidel Castro, and Pol Pot equally depressing if I read them. I can grasp how leaders can be vengeful, ambitious, overly aggressive, and obsessed. Pure evil is harder to fathom. With Hitler, it takes lots of patience to navigate the political and social turmoil of the Germany he came to rule. It takes effort to figure the effects of World War I on the people of that time, the machinations of the German government, and the deep-seated roots of anti-Semitism throughout Europe. But understanding and even feeling the pain of a nation defeated in war doesn’t enable me to make the leap of sanity needed to grasp great crematoriums burning the bodies of people killed for their race or religion or political opposition. The ugliness of World War II battlefields at least holds out certain consolations. There is the pluck and bravery of the Royal Air Force and the pilots flying their Spitfires against the German bombers. There is the incredible salvage operation during the Battle of Dunkirk. There are the virtuous Germans, such as General Rommel, “the Desert Fox” or Colonel Claus von Stauffenberg. There are the Russians in Leningrad who survived a siege of nearly 3 years. America’s “good war,” which produced “the greatest generation,” offers plenty of uplifting stories of men, women, and an entire nation. There were plenty of evils on the battlefields of Europe and the Pacific. There were atrocities, violations of the rules of war, and unnecessary and wanton destruction of lives and property that did not shorten the war. But still those matters can be grasped and grappled with. Gassing Jews, conducting evil experiments on children, and hanging political opponents with piano wire falls into a much deeper and more horrible circle of Hell. Hence the Hitler problem. How can a political science student or reader classify this man who was an extreme nationalist, a demagogue, and a tyrant alongside other fault-laden politicians of history? How can a military historian explain the priority given to trains transporting people to concentration camps when German armies were being chewed up on three different fronts? How can the sociologist or psychologist deal with a culture where people went to work each day routinely killing masses of people? Even as a Calvinist looking at history with the strong conviction that we are sinners, warped and ruined and depraved and wicked to the core, still there is the Hitler Problem. And he wasn’t alone. For all those reasons, all too many of my volumes weighing down book shelves with the name “Hitler” or “Third Reich” or “Nazi” are avoided. Yet, truth demands looking at the ugly, the wicked, and the false premises under-girding a world in sin. I suppose everyone who decides to major in history in college and then to teach history came in through the various doors promising excitement and good stories. Great battles, great men and women, heroes and heroines, romantic causes and the like lured us into the field. The bright and shining figures still exist for me, but there are other aspects that are grim. There is the miserable death count that teaching history entails. At some point, the 147,234 deaths in this event and the more than 3 million total deaths in that event leaves the teacher, student, and reader numb to the reality. I have never even known that many people. The deaths of friends, family, and acquaintances depresses me. Holocausts and genocides are unthinkable, except that the history teacher is a messenger–Clio plus Hermes–so he must bear the bad news. It is for these reasons that I am thankful for Richard Weikart and historians like him. I first became aware of him when I read and reviewed his book From Darwin to Hitler, Evolutionary Ethics, Eugenics and Racism in Germany. I thought it might be useful, but I found it more than that. It was astounding. That book led me to a companion volume and follow-up titled Hitler’s Ethic: The Nazi Pursuit of Evolutionary Progress. Dr. Weikart and I began occasionally corresponding after I became aware of these two works. This past year, Weikart’s book The Death of Humanity and the Case for Life was published. I reviewed it and some other books HERE and HERE. The Death of Humanity is a serious examination of some of the key thinkers and most faulty thinking that has struggled for the soul and culture of Western Civilization in recent centuries. Weikart’s book is a good supplemental, more in-depth study of what Francis Schaeffer attempted in How Should We Then Live? Now Richard Weikart has yet another very important new book out. Titled Hitler’s Religion: The Twisted Beliefs That Drove the Third Reich, this study examines the speeches, private conversations, writings, and actions of Adolph Hitler relating to religion. Let me emphasize: THIS IS AN IMPORTANT BOOK. That being said, I regret having read it during the Christmas holidays and shortly after the death of my father. To quote from the person who would be President, “What difference does it make now?” That is, what difference does it make what religious views, if any, Hitler held? First, Hitler’s religious beliefs were part of a wider set of beliefs that made up his worldview. Surely, he duped lots of folks. Truth-telling was not his forte, but there was plenty that could have been known from his writings, particularly Mein Kampf. Hitler bought into the dark side of Darwinian naturalism for certain. I know that the Darwin-Hitler link is a point of controversy, as is the Hitler-Nietzsche link. Hitler was not a profound thinker or systematic organizer, but he did absorb bits and pieces of ideas that coagulated into his warped worldview. Second, Hitler is sometimes labeled a Christian and/or a Catholic. Of course, he was Catholic by birth–as were most Gentile Austrians. Likewise, he picked up on some Christian concepts, such as Providence, that he made reference to. But, as this book demonstrates repeatedly, Hitler despised Christianity in all forms–Catholic or Protestant. He was a politician in a country with a Christian heritage, and so he sometimes crafted language and actions in ways to either appeal to or disarm the residual Christianity in his culture. Third, sometimes Hitler is accused of being a Satanist or part of the Occult. It is fair enough to label his actions and hatreds as Satanic, but he was not a Satan worshiper. There were elements of the Occult in Germany, but the Third Reich was not an Occult Regime. Fourth, everything being weighed and put in the mix, Hitler was–like all people–religious. Weikart argues that Hitler is best understood as a pantheist, one who believes that nature is God and that the cosmos provides principles to guide human conduct. He frequently deified nature, referring to it as eternal and all powerful. One of the reasons it’s difficult to determine Hitler’s actual beliefs, however, is that he said different things in public than in private, like many politicians, and because he often portrayed himself as a pious Catholic and applauded Christianity in his speeches (especially before the late 1930s) to gain political capital, public approval, and greater popularity. Moreover, Hitler was a “religious chameleon” and notorious liar who continually obfuscated to serve his purposes. Most Germans who joined the Nazi Party or at least voted for Hitler professed to be devout Christians, and many even saw him as protecting Christianity from the threat of godless communism. Therefore, this book goes beyond the mere question of what box Hitler would have checked on a form asking for his religion. He himself would have asked himself what he would gain from checking certain boxes. He was “a believer.” He was a man who was compelled by a set of doctrines to pursue his goals. Certainly his pantheism mish-mashed religious mix credited him with a key role in purifying “humanity,” meaning Aryan peoples. Worldviews, philosophies, presuppositions–both those spoken and those assumed, scientific trends, the need for scapegoats, and the warped to desire to create a utopia are all dangers that lurk out in the darkness, but out in the open as well. This book is a testament to the importance of serious historical examinations of how thoughts lead to actions. Another recent book I read on Hitler was the short biography, simply titled Hitler, by A. N. Wilson. This book gives just enough biographical information and discussion of the events in Hitler’s life to equip the reader without excessive detail. And, Wilson does a credible job of dealing with the laziness, incompetence, speaking power, and surprising successes (at least up until late 1941) of Hitler. Even as the evils of World War II overwhelm the reader, there are those stories of heroic people who stood against the terrible regimes or did some small part to relieve suffering. One such account that is most appealing, although grim, is the book A Polish Doctor in the Nazi Camps–My Mother’s Memories of Imprisonment, Immigration, and a Life Remade by Barbara Rylko-Bauer. This woman chose to go into the concentration camps to serve as a doctor. We need these reminders that evil never ultimately wins. This book was published by the University of Oklahoma Press. At some point….No, at many points in the reading and learning process, we realize that however old, well read, and educated we think we might be, we are just kids playing at the beach. We have only seen and experienced a infinitesimally small part of the great ocean of knowledge. We not only don’t know much. We cannot even grasp how much we don’t know. Nor do we possess the time and ability to know what we would like. I say this in the light of some recent readings that create several reactions, often at the same time. I enjoy the books, but feel overwhelming frustration at not knowing enough, remembering enough, and incorporating enough of what I am reading. Like the kids in the picture above, there is the place for just enjoying the little bit of ocean and beach you can see and experience. Comprehending the vastness of it all is more than is possible. The vastness of knowledge is one of the recurring convictions I have had while reading Bradley Birzer’s biography of conservative author, columnist, and social commentator Russell Kirk. This book–Russell Kirk-American Conservative–won The Imaginative Conservative‘s 2015 Book of the Year Award and the Intercollegiate Studies Institute (ISI) the 2016 Henry and Anne Paolucci Book Award. I have been reading this book off and on for several months. Due to events surrounding the death of my father in December and the Christmas season, the book was sidetracked for a time. The main delay in getting it finished is that this is not a light and breezy run through Kirk’s life. This, just like Bradley Birzer’s biography of Christopher Dawson, is a serious intellectual engagement with the ideas, people, and circumstances that made Kirk’s life and thought what it was. Along the way, I have detoured at times to read some of Kirk’s political writings and some of his ghost stories. I also have picked up a few books by authors that influenced Kirk. This is not a late night page-turner, but a book calling for a notepad, a pocket full of money to buy books mentioned in this biography, and strong coffee. Over the last several nights, I have read about some of the conservative thinkers who influenced Russell Kirk and were friends and peers. These included Leo Strauss, Wilhelm Ropke, William F. Buckley, Flannery O’Connor, Robert Nisbet, T. S. Eliot, and Ray Bradbury. Conservatism is far more and is far deeper than what one hears on the so-called conservative radio. In fact, most of the radio conservatives are not at all rooted in historic conservative thought or even in recent conservative thought. Russell Kirk sparred with other conservative thinkers over issues I can scarcely follow. Is my own conservatism Burkean or more rooted in the American Tradition? I am not sure and suspect that neither answer would explain my ways of thinking or limits of thought. But Russell Kirk was driven by a set of beliefs and ideal articulated in his books, starting with The Conservative Mind. That book, by the way, went through several revisions as Kirk himself re-evaluated his own thoughts about conservatives from the past. Kirk had the ability and inclination to be a desk-bound academic scholar with a focus on conservative thought. But he was also politically active. Like many in the conservative movement of the past generation, he got heavily involved in the disastrous Presidential campaign of Sen. Barry Goldwater. Unlike many, he was not deflated by Goldwater’s landslide loss. He foresaw what others only realized when the same conservative agenda proved successful in 1980 with the election of Ronald Reagan. Not surprising, Kirk had the highest regards for Reagan as a man and President. What is surprising is that Kirk was very broad-minded in his appreciation of various political figures. He had the highest admiration for certain libertarians, with whom he differed on details, and even with liberal Democrats such as Vice President Hubert Humphrey and Sen. Eugene McCarthy. For Kirk, character trumped even ideology. I suspect he would have found our recent political year quite distressing. Additional note: A few nights ago, I learned about poet and intellectual T. E. Hulme, who was a big influence on T.S. Eliot and who was killed in World War I. Perhaps I have heard or read of Hulme in the past, but I am not really aware of him. Yet, he was a brilliant thinker whose life was cut far too short by the war. This book is full of the key figures along the way who either were friends with Kirk or people who influenced him. This book is an intellectual journey. It is the biography of a key conservative who was involved in both the intellectual and political movements called Conservative or Conservatism. But being a good biography, it is also a picture of the greater culture within the conservative movement of the post-World War II America. 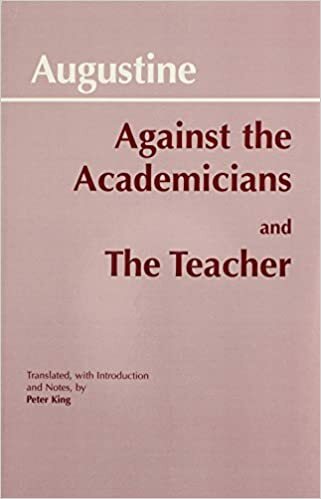 Each morning of late, I have been reading a chapter from Dolicitas–On Teaching and Being Taught by James V. Schall who taught at Georgetown University and has written and lectured continually. I have been reading James V. Schall for years, starting with his fine book Another Sort of Learning. There are several problems I have with his books: First, I never want them to end, and second, every book or author he mentions incites me to want to read everything Schall has read. To make it easier (or worse), he usually includes lists of essential books and numerous other recommendations for readings. Dr. Schall is now in his eighties, but he is still delivering lectures on his favorite topics. He loves books, ideas, philosophy, and the life of a scholar. He quotes Plato extensively and opines that he would love to just read and teach Plato. If he confined himself to Plato, however, we–his readers–would miss all his comments, insights, and quotes from Samuel Johnson, Seneca, Shakespeare, Aquinas, and Peanuts. Yes, that’s right–the greatest minds and thinkers alongside Charlie Brown, Lucy, and company. The love of this man for books, for his listeners, for the written and spoken word, along with his gentle humor and Christian demeanor make reading him a delight. But Schall is not always an easy read. He can challenge, confuse, and slide right past me in one paragraph, and then amuse, enlighten, and excite me in the next. 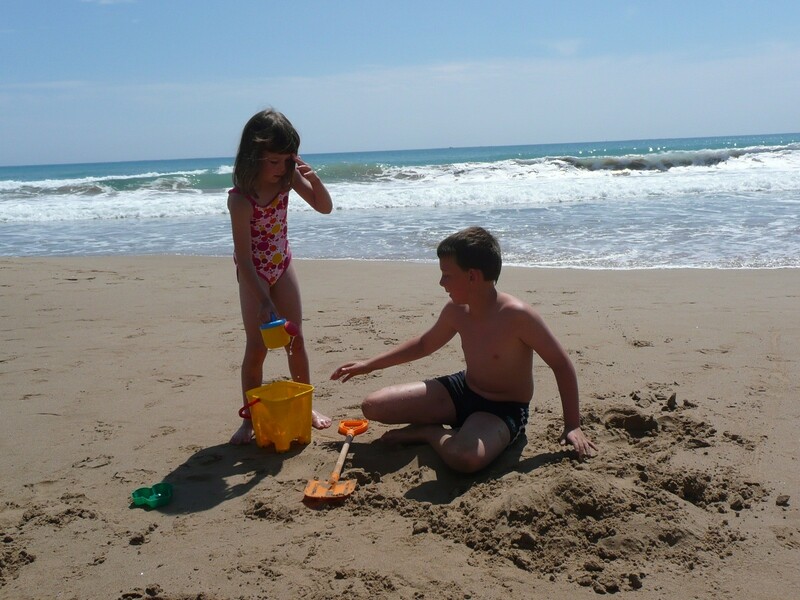 Going back to the picture and illustration of children at the beach, Schall enables us to both enjoy the day in the sand and surf, but also yearn to know more of the grand ocean. I will be soon finishing Dolicitas. 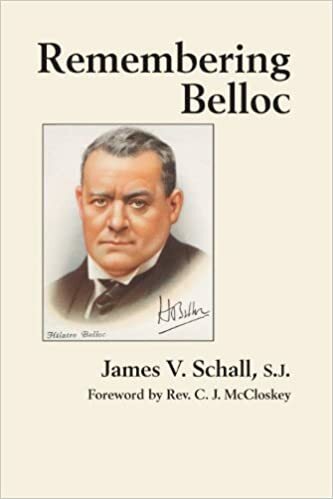 Instead of sinking into deep despair, I will be immediately turning to Remembering Belloc. Imagine that–two find thinkers teamed up–one the subject and the other the author. Both of the Schall books, plus quite a few other titles by him, are published by St. Augustine Press. And then there is Augustine. One of the things I love best about teaching Augustine is that weary feeling of failure after the whole effort. That might sound odd, but it is like climbing a mountain and each time only reaching some of the lesser, but still splendid, peaks. The vision from the heights is grand, and yet there is always more to see. In my classes, we read selections from City of God and I read some portions of Confessions to the class. Kids don’t often take to Augustine. J. K. Rowling and Rick Riordan still top the charts for the young readers. That is okay for now. I keep telling my students that they are light years ahead of where I was when I was in high school (where I never heard of Augustine) or college (where I heard of, but never read Augustine) or graduate school (where he was never mentioned) or in the first 16 years of my teaching career (where I talked about him some, but didn’t read him). All I can do is hoist the students up on my shoulders and invite them to see more than I have seen. Part of my ongoing conversation with Augustine’s works entails gathering around me some first rate scholars. 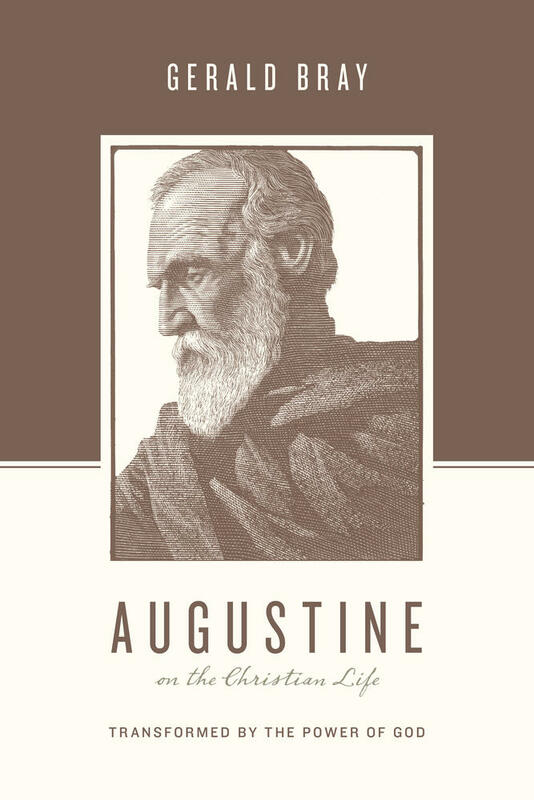 One of the promising books I have is Gerald Bray’s Augustine on the Christian Life. This is part of the “Theologians of the Christian Life” series published by Crossway Books. The whole collection is quite appealing. This past summer, I read Bray’s book The Church: A Theological and Historical Account and found it satisfying both as theology and history. I assume this book on Augustine will, likewise, be good. Note that this book is a conversation waiting to happen. 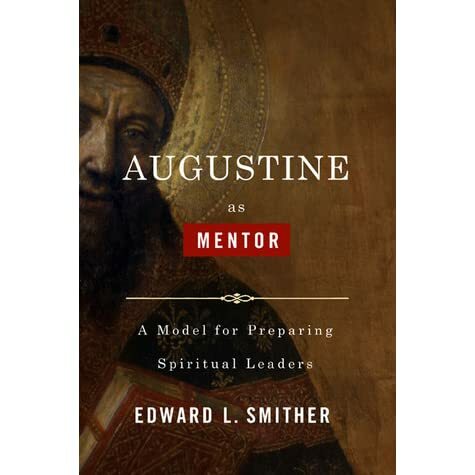 I have read from Augustine as Mentor: A Model for Preparing Spiritual Leaders by Edward L. Smither. The conversation with that book got sidetracked, but is awaiting a resumption. It appeals to me due to an interest in the topic of mentoring as well as the focus on Augustine. A book I studied during the summer is The Conversion and Therapy of Desire: Augustine’s Theology of Desire in the Cassiciacum Dialogues by Dr. Mark Boone. My previous comments can be found HERE. This is a weighty and meaty study. One should note from the subtitle that this study’s focus is on the Cassiciacum Dialogues. So, to really engage in this book, the reader needs to have Augustine’s works handy. Feeling like I was missing something (as in comprehension), I felt the necessity of supplementing my collection of Augustine’s writings. I acquired a volume titled Against the Academicians and the Teacher and another titled Soliliquies: Augustine’s Inner Dialog. Of course, two older gentlemen gather in the room when Augustine’s name comes up. They sit quietly in the corner, waiting for me to ask them a question. They are vital to any collection of Augustinian studies. 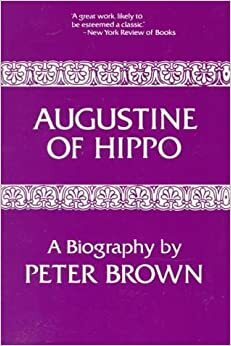 I am referring to Peter Brown’s Augustine of Hippo: A Biography and Charles Cochrane’s Christianity and Classical Culture. All of this Augustinian world would be challenge enough if that were all I had to consider. But Russell Kirk is still revealing both his writings and those of his influences, and James Schall continues to make off-handed comments on great classics with the assumption that we should all stop whatever we are doing and read them. 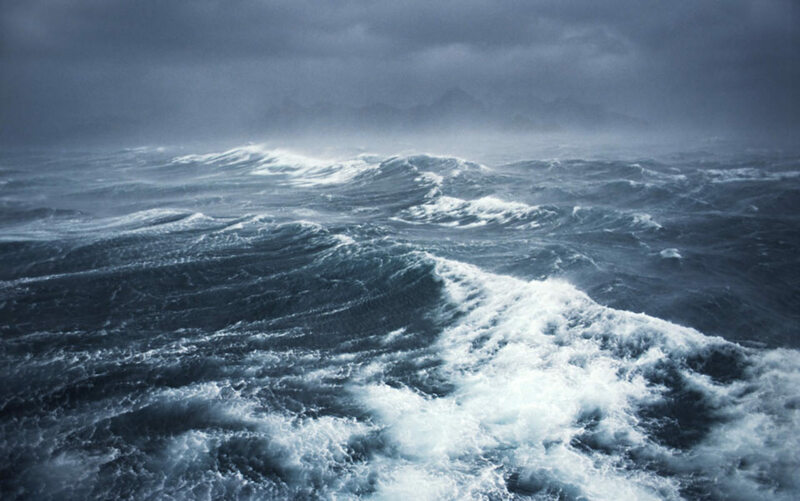 In contrast, simply trying to comprehend the width, breadth, depth, and content of the ocean seems rather attainable.